What is the most pressing environmental threat facing your country? Deforestation. We have deforestation in Cerrado [a tropical region in the central-West of the country], deforestation in the Amazon and problems with agricultural practices. Together, these are the main factors producing greenhouse gas emissions. Besides this, we have another environmental problem: the deforestation of the Permanent Preservation Areas [protected areas on the edges of rivers, lagoons and lakes] and this may well affect our water sources in a few years. But now we are tackling them. We achieved an 11 per cent reduction in the forest areas cleared last year [from July 2010 to august 2011]. This is our best result since 1988. Has the conference (so far) come up with solutions to tackle these threats? Of course, yes. We have our national commitments [zero deforestation pledged in 2010] and our international voluntary commitments to reduce greenhouse emissions made in Copenhagen [cuts of between 36.1 per cent and 38.9 per cent by 2020], but if we achieve a second agreement at COP17 for Kyoto Protocol, with all parties included, it will make us much stronger to face the problem. It is too hard to fight alone against climate change. Are governments in the Western world taking the views of Southern countries seriously enough? No, I don’t think so. We have had discussions on number of issues with them, mainly on emissions controls. These are fine for developed countries but are not applicable for Southern countries and developing countries. What is good for the USA and the European Union is neither necessarily good for nor applicable to the whole world. Should Southern countries work more closely together to fight common environment threats? Of course we should. I’ve just arrived from Argentina where I had a meeting with Latin American countries about how we could work together in terms of agriculture. We would like to exchange information about this issue to achieve food security. What has been the biggest disappointment of the conference so far? 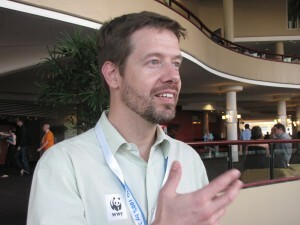 My biggest disappointment is the possibility of that a second commitment of the Kyoto Protocol will not be agreed. In our meetings, many countries want to discuss the possibility of limiting greenhouse gases emissions only after 2018 or 2020. I am afraid of this, because the amount of CO2 in the atmosphere is increasing significantly and if we do not start to limit the emissions now, in 2018 we will not have enough time to deal with global warming. These objectives needed to be tackled yesterday, not tomorrow. 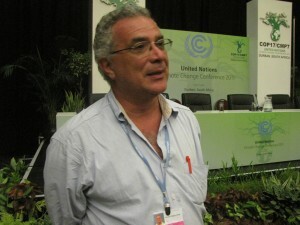 What would be the best outcome of COP17? Post-Kyoto now! We need and Brazil wants the second agreement. All parties have to work hard to reduce their emissions together. The most serious environmental problem in Brazil now is our new environmental legislation. Yesterday the Senate approved changes in our Forest Code. These is a major step back in terms of the environmental gains we have made in the last seven years, with deforestation in the Amazon more than 75 per cent lower last year than it was in 2004. What we see, right now, with this Forest Code, is not only a simple change in some pieces of legislation. It will become a reward for deforestation. People that broke the law will receive amnesty; they will not be obligated to restore the area that they destroyed before 2008. The Forest Code could result in massive deforestation and this is what the most conservative, our Brazilian rural politicians, are pushing hard for, because we proved that it was possible to fulfill the law and reduce deforestation. They became upset with that and now they have managed to change the context. Has the conference (so far) come up with solutions to deal with these problems? At COP17 we are discussing the development of mechanisms of deforestation, to help developing countries to reduce deforestation and their emissions from this activity. Besides we are talking about REDD+. 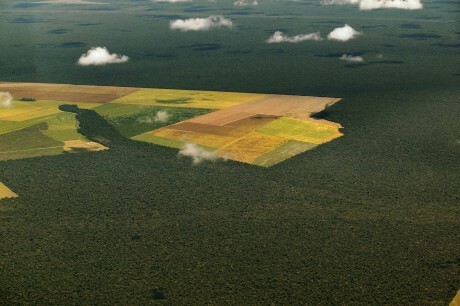 These discussions are progressing slowing here but as soon as we have decisions these mechanisms will help Brazil to further reduce deforestation and even more, not only in the Amazon, but in other regions of the Country like Cerrado, the Atlantic Forest and in the semi-arid regions, Caatinga. So the mechanisms will help us to develop in a sustainable way. I think that the Western world still lacks the drive to help Southern countries. We have huge problems with climate change, mainly in the least developed countries of the South, and they are expecting this negotiation to achieve concrete results and finance to support their mitigation and adaptation projects. And right now there is not enough of an appetite to reduce greenhouses emissions. We do not have concrete sources for the Green Climate Fund. A lot of work has to be done by the end of this conference to achieve these agreements. Yes, because we have a lot of environmental threats in common. We need to exchange good practices and experiences and demand more and more what we need in terms of climate change. In the G-77 and China we have a lot of differences too, but we should walk together and help those who need more help, like small islands or the least developed countries. We can fight together in negotiations to ask what the most fragile countries of the Southern group need for adaptation and mitigation. The biggest disappointment is the lack of ambition and the possibility that we may leave this conference having failed to address the major needs of the most vulnerable and poor nations. Leaving Durban without having put money in Green Climate Fund, that is too important for developing countries, it will be a big disappointment. We need to move fast, because there are millions of people suffering a lot; hundreds of thousands people dying every year because of extreme climate events. In the Horn of Africa this year the crisis was just absolutely immoral, it is just unacceptable. Leaving this negotiation without a significant amount of money on the table to help these countries would be really disappointing. We arrived here expecting progress on mitigation targets and on climate change finance. We know that the negotiation is complex; we need consensus among countries. We want this conference to prove there is enthusiasm and drive – not for countries to say, “I am not part of this” if they have a responsibility, and not thinking about acting until later. We do not have time to lose.